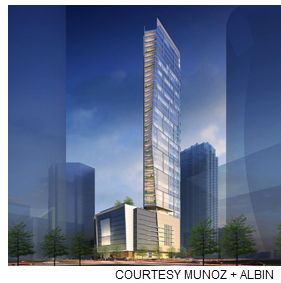 ​​​​​​ ​HOUSTON – Hines it set to develop the 46-story Preston Tower, the tallest residential community in the city. The 373-unit luxury rental tower is being constructed in partnership with Cresset Wealth Advisors and Levy Family Partners. Munoz + Albin designed the project.